Features: – Broadcast coming caller’s phone number, pause music for coming calls. – Noise cancelling technology cancels background and wind noise when in crowds. – Sweatproof technology: protects this bluetooth headset from sweat, and coffee spills so you can wear the weadset in the office or at the gym. 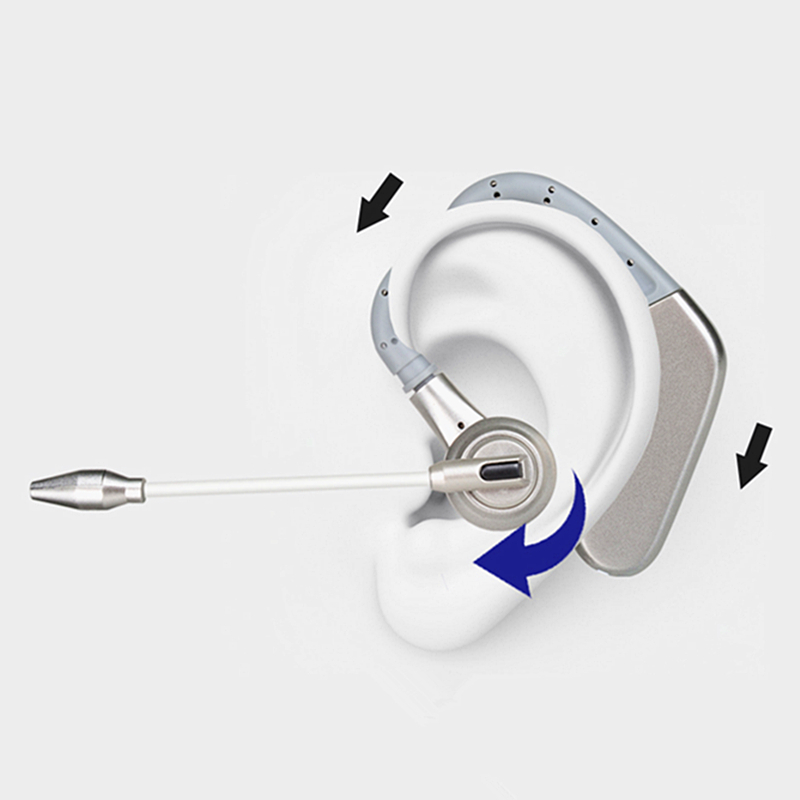 – 360°adjustable Ear-fit design allows you to adjust the angle to fit on your right or left ear. – You could also move the microphone up and down to tell people you are on a phone call or not. – Battery meter display on IOS phones,remind you to fast charge for next time: Specification: Bluetooth version: 4.1 Bluetooth range: 10 meters Standby time:12 days Phone time:6-8 hourss Music time:6-8 hours Charging time:<2 hours Packing list: 1 * Bluetooth headset 1 * Backup battery 1 * USB charging cable 1 * User guide(English) For Promotion: We offer ” No Questions Asked Money-Back Guarantee ” for THIS product. Click “Buy Now” or “Add to Cart” button above to buy the product for yourself and your loved ones! Simple & easy to use with the user manuel ① Power on/off, Play/ pause music, Answer/refuse calls ② Usb charge port ① 360° rotatable design ensure the headsets fit the best in-ear position for right ear or left ear. ② Healthy and soft ear-hook material, no any hurts and burden feeling for long time wearing. ③ With built-in high definition microphone,it provides clear sound even in noisy environment. -Detachable battery design, package included 2 batteries, this back up you always on power: -Phone time:6-8 hours -Music time: 6-hours -Standby time:12 days Battery display on IOS devices, remind you fast charging for next time use. Supports connect 2 phones simultaneously, It can automatically connect the devices in memory in 10m(33ft). -Broadcast coming caller’s phone number, you will know who is calling without take the phone out of your pocket when you are driving or busy. -Built-in the best brand CSR 4.1 chipset with high definition microphone,It can provide high-quality stereo audio experience no matter whether listening to music or making a phone call.